This week’s bag of choice was the very unglamorous Target bag. 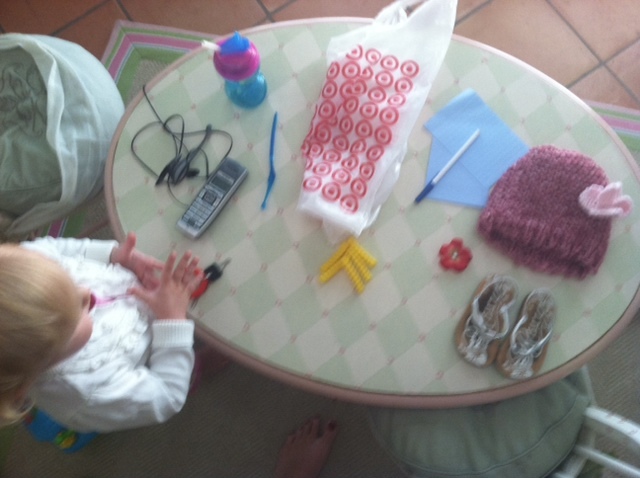 The contents were interesting – a lot more things she shouldn’t have let alone collect were in her bag. Yesterday she walked into the office with the knit hat on and the keys in her hand, said “bye bye!” gave me a kiss and headed out of the room. I thought it was adorable…until I realized she might actually be heading somewhere!